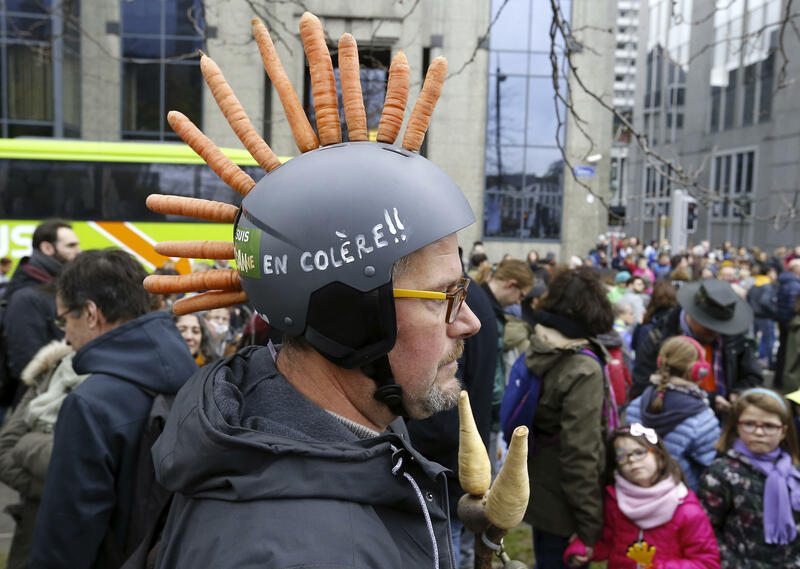 Belgium's biggest ever climate march saw more than 65,000 people brave the Brussels wind and rain on Sunday - three times more than expected. 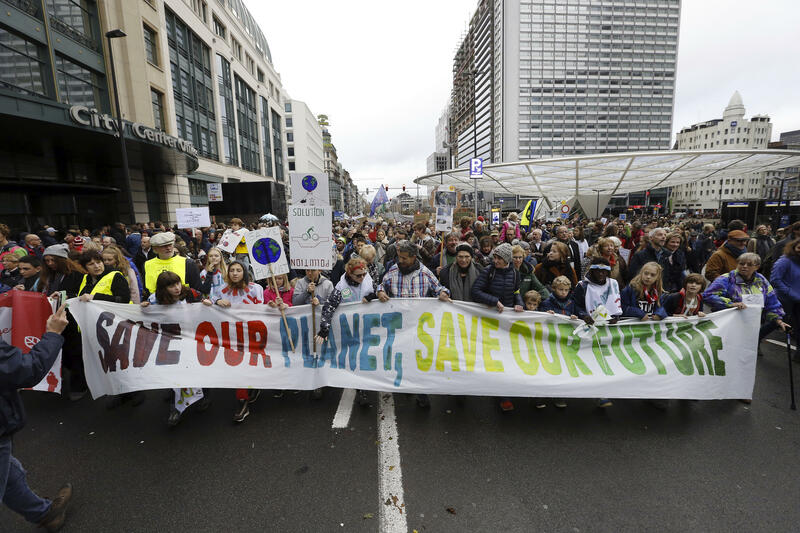 Organisers of the Claim the Climate event, which ran from North station to Cinquantenaire park, estimated the turnout was closer to 75,000 - including 5,000 cyclists. Police had been prepared for between 20,000 and 25,000 people to attend. Photos were posted on social media of crowded trains and metros carrying people to the march. Rail operator SNCB said it had increased capacity on its routes - but "the influx of people coming to the march was even bigger than expected". Event spokesman Nicolas Van Nuffel said: "It's been a huge success, it's been historic. We're sending a big message to politicians. "The main message is to say: our ministers must now act. They must take decisions and set a course to respect the Paris Agreement. We have to stay under a 1.5°C temperature increase - and that means reducing our greenhouse gas emissions by more than half by 2030. We now expect our prime minister to act." 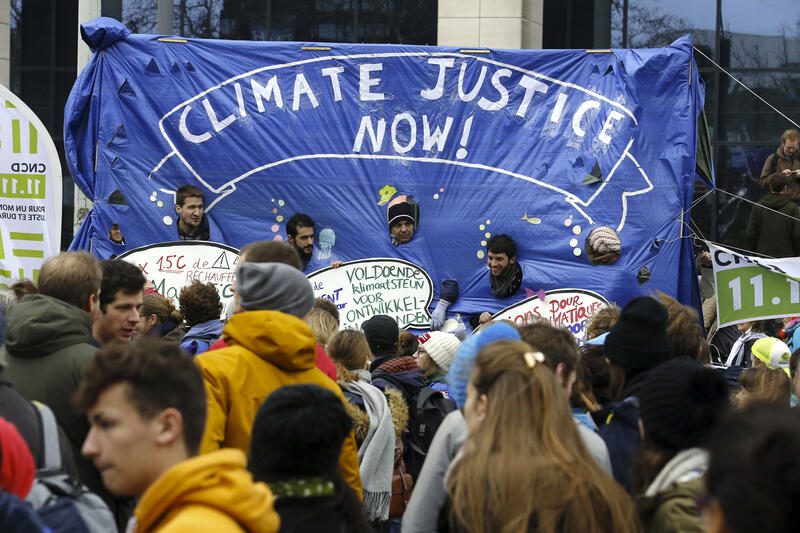 Sunday's march, which passed without any major incident, came on the eve of the COP24 UN climate summit in Poland, where representatives from 200 countries will discuss topics related to global warming. Samuel Lietaer, from campaign group Climate Express, said: "We are all feeling the effects of climate change. In our cities we are suffering from dirty air. Every year we spend millions of euros compensating farmers for damage caused by drought. We are confronted almost every day with images of fires and floods around the world. "Since 2012, we have been waiting for a Belgian national climate plan. We demand more ambition from Belgian decision-makers." 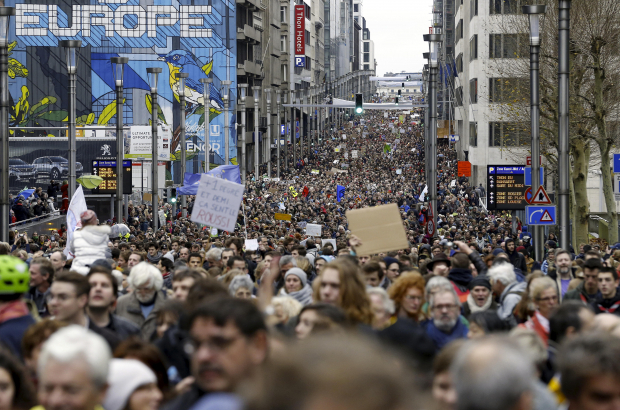 Belgian prime minister Charles Michel said on Twitter: "The climate charge was a great success for citizen mobilisation. The issue of our climate must be a central concern for future generations. Belgum stands by its ambitious goals." Belgium is considering a bid to host the COP26 climate summit at the end of 2020, after Switzerland withdrew its candidacy. The campaign is being led by Walloon climate minister Jean-Luc Crucke. The summit would bring 20,000 participants to the country over three weeks. La Belgique s’est dissociée des ambitions européennes en matière d’efficacité énergétique et d’énergies renouvelables.